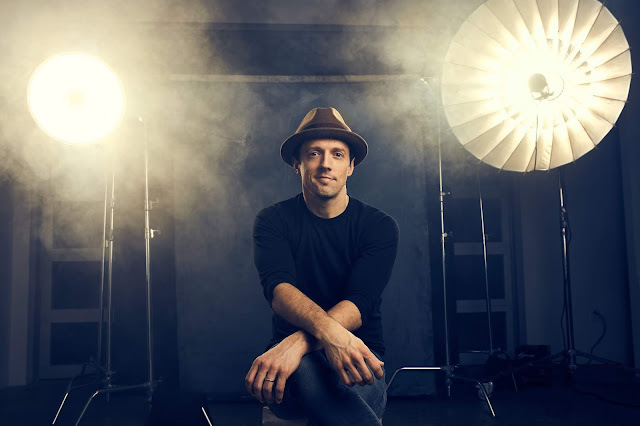 If you have been listening to Jason Mraz songs I'm pretty sure that you'll be very thrilled to welcome Mraz to Malaysia and this is very soon by just next month. The multiple Grammy awards winner Jason Mraz had his first performance in Malaysia in 2009 followed by tour is a Four Letter Word 2012. On playing for his Asian fans, Jason said "I enjoy travelling to and performing for listener in Asia. I feel a sense of gratitude and enthusiasm unlike any where else in the world which makes a performance feel more like an event than a recital. The audience participation in Asia is harmonic and supersonic. I'm thrilled to return, reconnect and reexperience the joy." The good vibes tour announcement follows the release of Jason's 6th studio album 'KNOW' on 2018 becoming his 5th consecutive studio album to debut in the Top 10 of the Billboard 200. Now are you ready for Jason Mraz? The good vibes tour already started in North America last summer. This tour continues in Asia where Jason Mraz will perform in Manila, Singapore, Shanghai, Hong Kong, Bangkok, Taipei and Malaysia of course in May 2019. 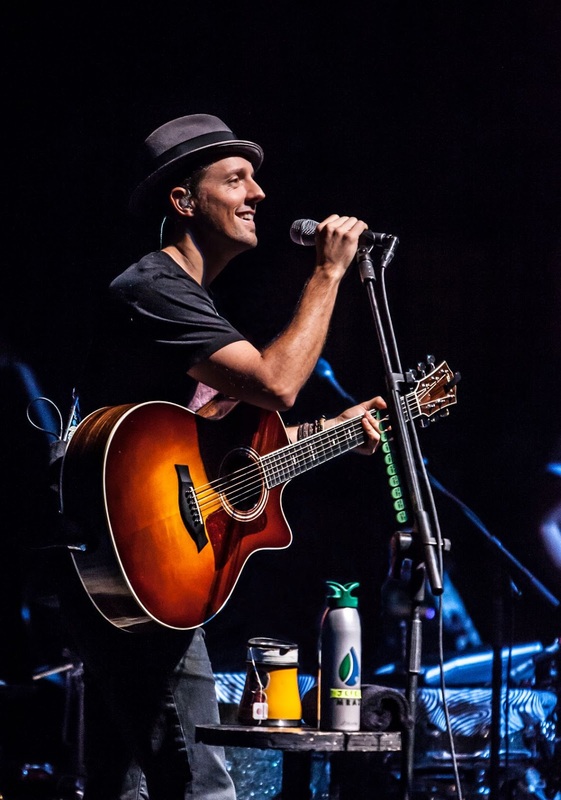 If you're feeling lucky you might just win tickets to Jason Mraz Good Vibes Tour in Kuala Lumpur. How? Join 'Love is still the answer' snap and win photo contest and you might stand a chance to win a pair of VIP tickets worth RM 698 each. All you have to do is upload a photo of what love means to you on social media and don't forget to hashtag #Loveisstilltheanswerphotocontest #jasonmrazliveinmalaysia. Hurry only 12 pairs VIP tickets to be won. I'm still in the feeling of French smell after using their products. 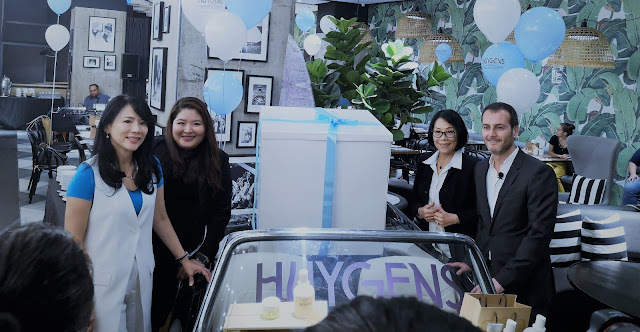 Why such and you really need to know cause just recently HUYGENS Paris landed in Malaysia bringing in French beauty apothecary for beauty enthusiast. Firstly how to pronounce HUYGENS?? It is called Hui-gens. They are person who prepared and sold medicines and drugs in apothecary term. And so HUYGENS stories telling about to begin from Paris itself. In 2013, co-founders Daan Sins and Sebastien Guerra discover an abandoned 17th century alchemist's house in the heart of Le Marais, Paris. (Wish I could visit the city one day). 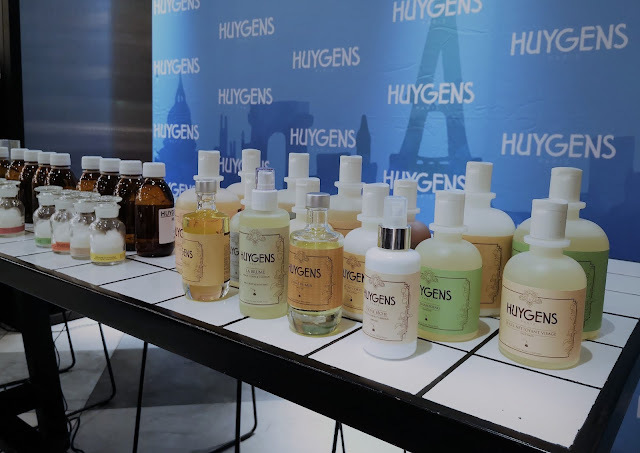 Inspired by the exceptional mansion and its vicinity's lingering energy, they decide to create HUYGENS, a French beauty apothecary that offers 100 % clean, cruelty free and made in France next generation organic beauty collection. 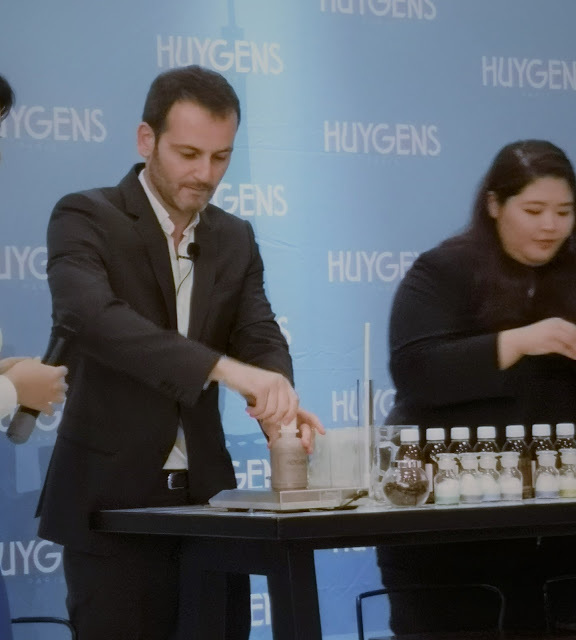 Met co-founders of HUYGENS, Sebastien Guerra said that HUYGENS is ideal for those want to reconnect with nature and pure organic ingredients aligned to the preparation of yesteryear but in a contemporary way. Do you care about what goes into your beauty products? About 97 % - 100 % of all ingredients in HUYGENS organic beauty collection are of natural origin whilst up to 100 % of all ingredients are grown from organic farming. The percentages of natural and organic ingredients are clearly indicated on each product. HUYGENS presents a comprehensive range of organic beauty products that caters to every need and personality. These include face care formulas, be spoke body, bath and hair collection, home and aromatherapy array and fragrances with natural active ingredients. If you love perfumes that are all natural and kind, HUYGENS perfumes are made from the finest natural raw and organic ingredients which include flower water and organic alcohol made from wheat. You can select from 3 distinct evoking fragrances which include La Cologne, Les Roses and Le Parfum Originel. I personally fall in love with the Les Roses one. Why I think HUYGENS are so unique at first place? It is an innovative customisation concept spurning 192 combinations allowing you to choose scents that meets your individual needs, benefits and persona. Just like it said a beauty apothecary. How does the customisable Bespoke body, bath and hair collection work? Imagining as I didn't include a good video here. There are 3 simple steps that facilitates each of you with a unique store experience. For the first timer, I highly recommend you to visit their store first. Step 1 - pick from a selection of 12 neutral base products comprising either a body, bath or hair care base. Step 2 - choose an essential oil of your preference aligned to the benefits that suit you. There are 15 natural essential oils to pick from the categories of comfort and calm, energy and vitality and balance. Step 3 - the HUYGENS team will then create your Bespoke body, bath or hair product using special tools. Brought to Malaysian shores by Clini7 Malaysia Sdn Bhd, HUYGENS officially aired it debut launching. Congratulations to HUYGENS again. Now after knowing so much about HUYGENS, it's the time to unveil the price range. 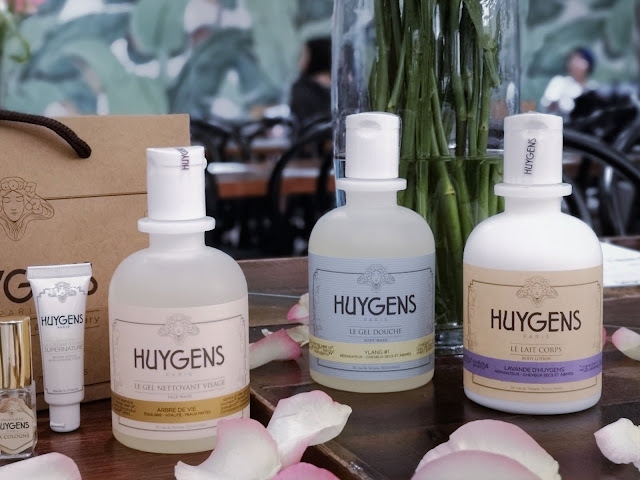 The HUYGENS Bespoke body, bath and hair collection retails respectively from RM 165 - RM 278 (body), RM 98 - RM 308 (bath) and RM 108 - RM 202 (hair). 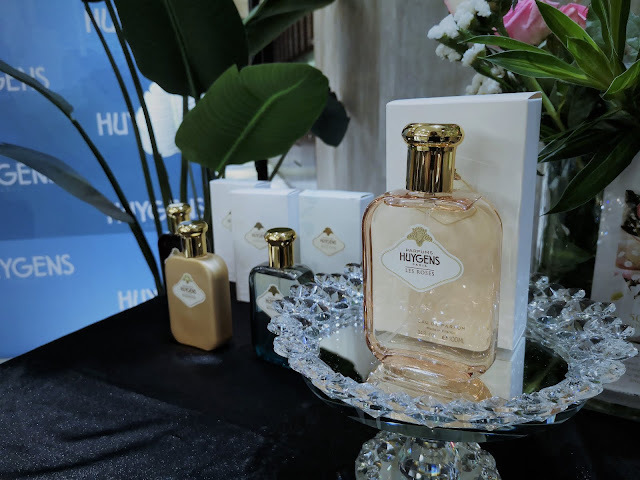 HUYGENS perfumes are priced from RM 499 (La Cologne), RM 575 (Les Roses) and RM 575 (Le Parfum Originel) respectively. Overall I think the price range are at the high side but if you are a working adult, you can treat yourself kindly. Like why not? 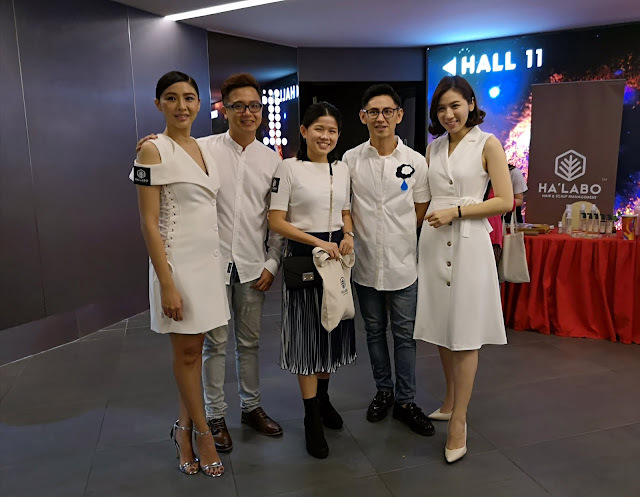 You can head on to HUYGENS stores at Robinsons The Gardens Mall, Robinsons Kuala Lumpur Shoppes Four Seasons Place and Parkson 1 Utama for a unique in store experience first. 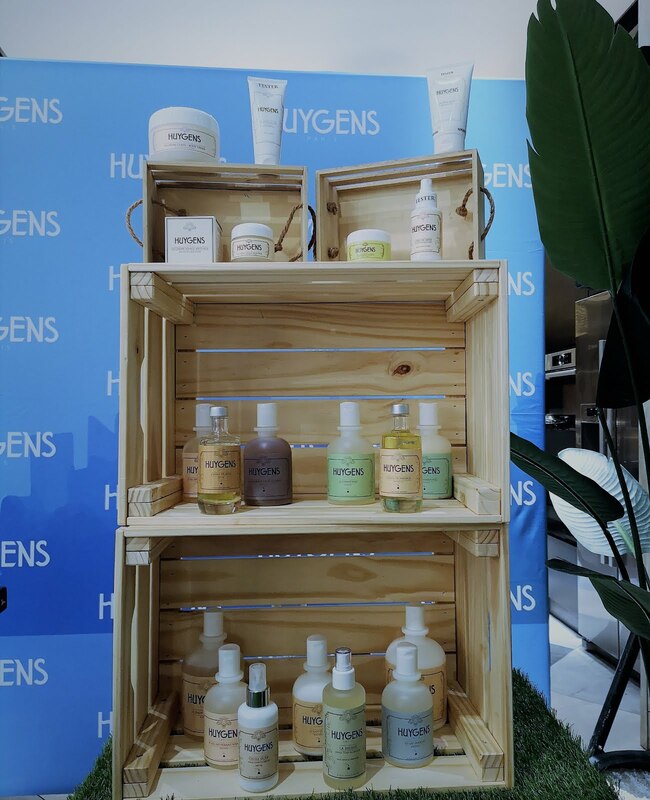 If you don't know yet, HUYGENS clean organic beauty collection is presented in biodegradable plastic and glass containers to support Eco friendly. If you have knew HUYGENS before, you can shop online at www.huygens.my . 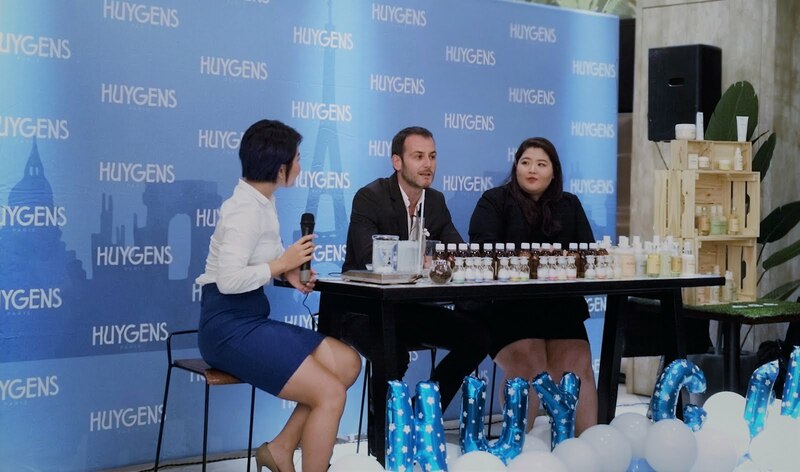 To know more visit HUYGENS in Instagram at @huygensmy #huygensmy . 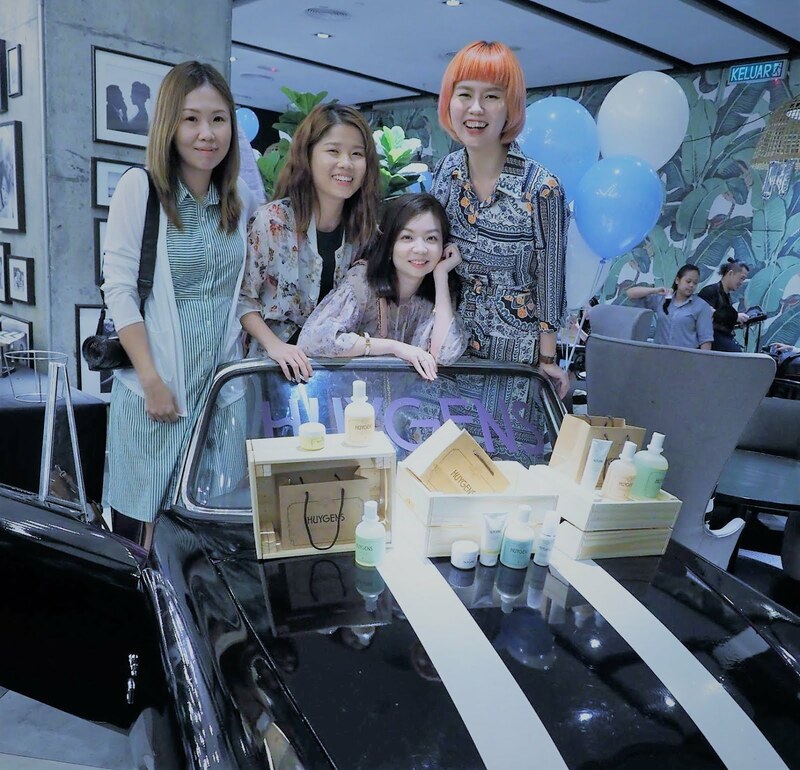 Ending this post with my Blogger friends around Cinda, me (Lee Yann), Zi Hang and Reiko. Nice car and refreshment prepared credit to the Ben's The Gardens Mall and also Pat Lin Communications for inviting me. weekend can be more fun at Resorts World Genting in case you have nothing to do. 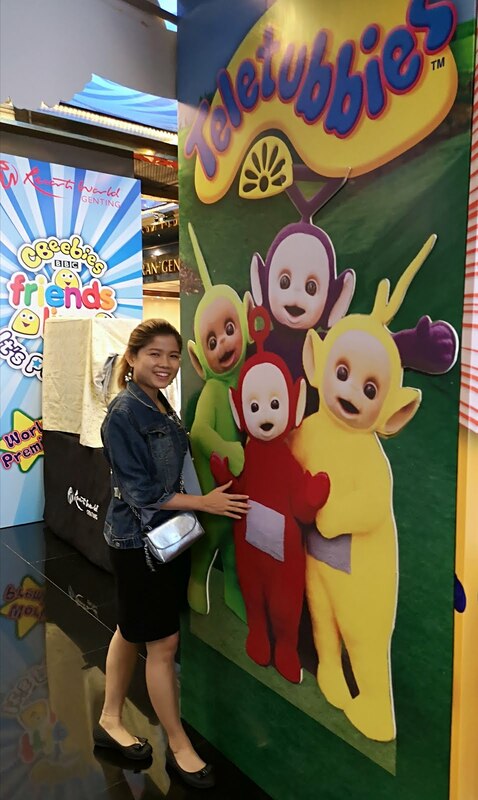 Me and my friends just watched our favorite TV cartoons from our old time, Teletubbies and also others CBeebies friends live show at Genting International Showroom. You are never too old to have some fun again. The famous Teletubbies, Hey Duggee, Go Jetters, and Sarah & Duck are the delightful and fun loving characters from the British Broadcasting Corporations children entertainment channel. Party dancing along with the Teletubbies; Tinky Winky, Dispsy, Laa Laa and Po. Celebrate Scarf Ladys birthday with Sarah and her best friend Duck. 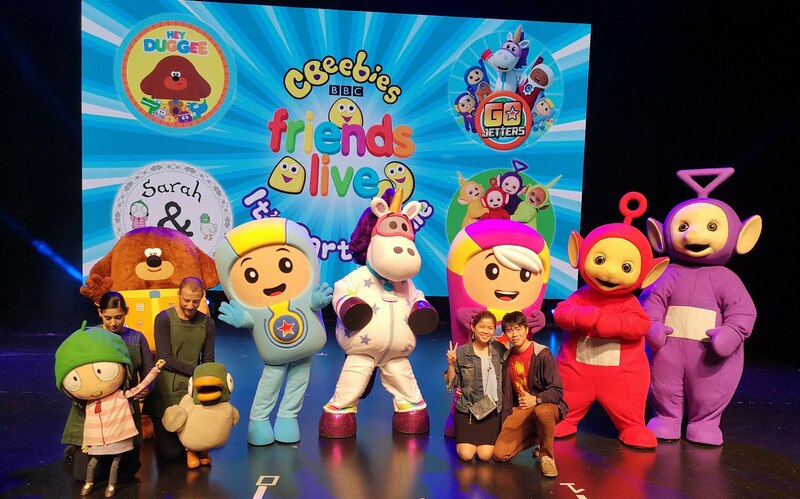 Become honorary cadets at the funkiest school in town with the Go Jetters Xuli, Kyan, Lars, Foz and Ubercorn, a dancing unicorn. Earn your Hey Duggee teamwork badge with Duggee and the members of the Squirrel Cub including Betty the octopus, Happy the crocodile, Roly the hippo, Tag the rhino and Norrie the mouse. CBeebies friends live and It's party time is a musical show that makes its world premiere at Genting International Show room on 16 March 2019 - 31 March 2019. Tickets are now available priced at RM 186 (VIP), RM 156 (PS1) and RM 116 (PS2) with additional RM 4 processing fee. Children below the age of 1 enjoy free entrance. Families travelling to see this world premiere can also enjoy attractive show and room packages for as low as RM 353 nett offering savings of up to 51 % off standard room and ticket prices. For more info, visit www.rwgenting.com or call +602 2718 1118. Have a happy weekend guys and see you next. 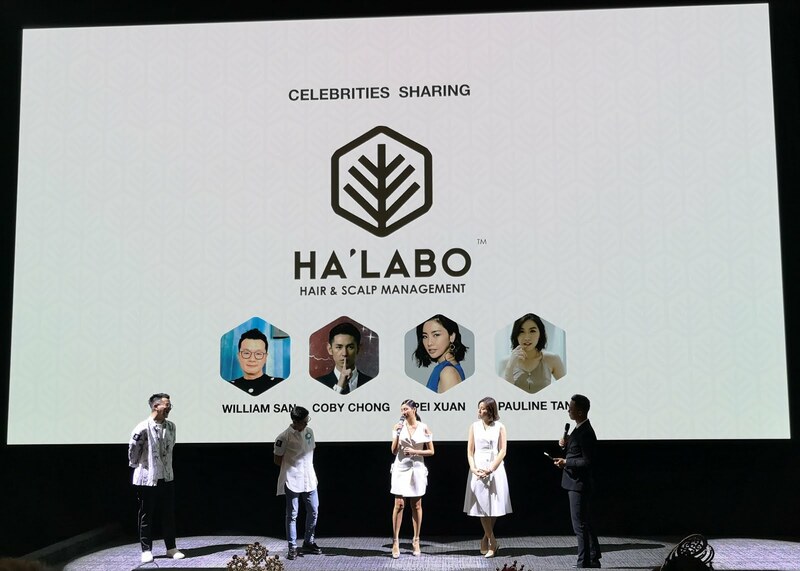 If you have hair and scalp problems and would like to get help to manage it, may be you can consider HALABO. Recently HALABO started to expand many in town area and they're now going to launch a smart hair care apps which I'm here as invited Blogger guest. This is going to be an interesting simple post that won't make you feel boring. 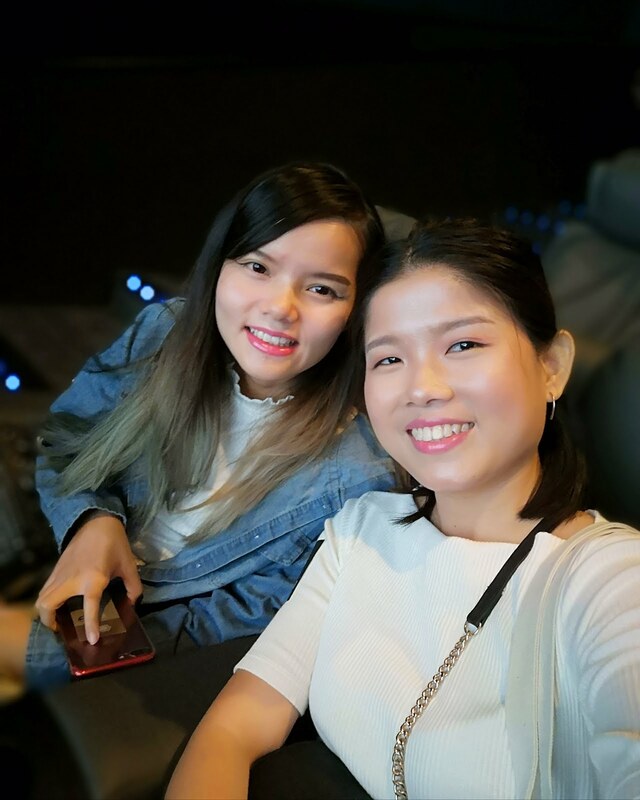 With my babe Blogger Bee Lee. 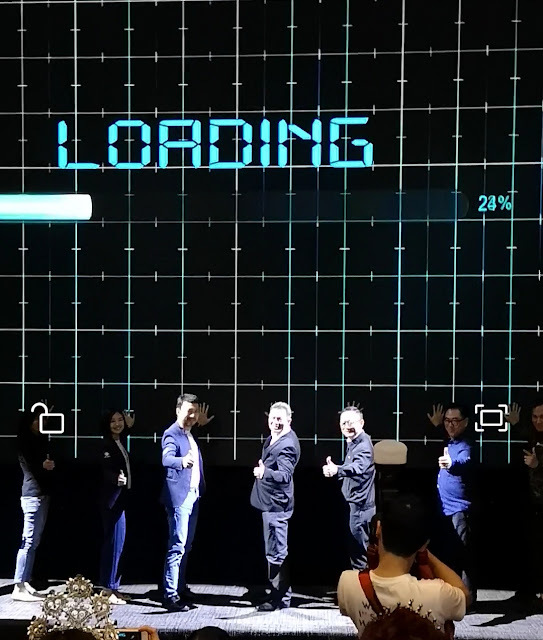 We're excited for the launching cause it's in the Onyx hall of Golden Screen Cinema at Mid Valley. HALABO launched the world's first AI personalized prescription hair care and products in kinda Iphone launching style. What a brilliant idea. 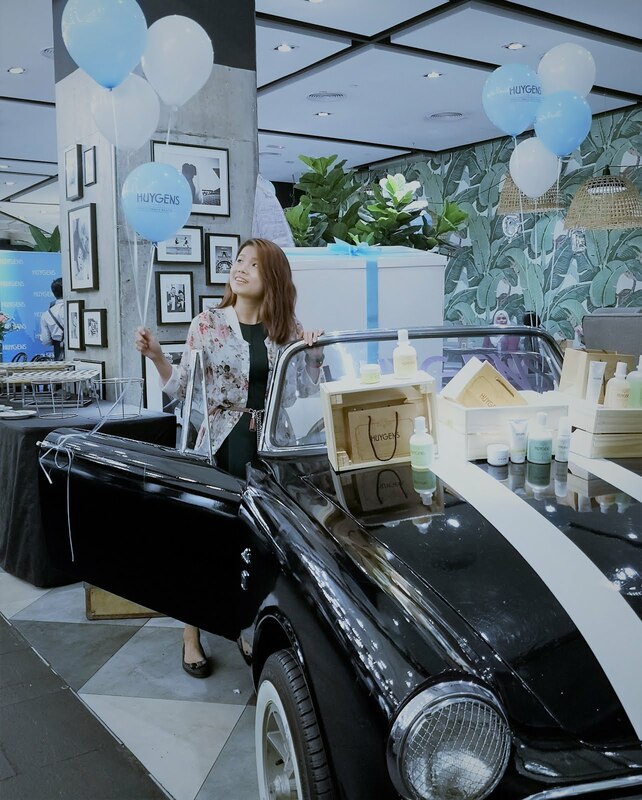 The founder talked about how AI technology personalized for each person problems, seamless IOT technology, smart family to share treatment, smart scheduling and real time image and historical will be record. Sounds very 'canggih' to download and use. 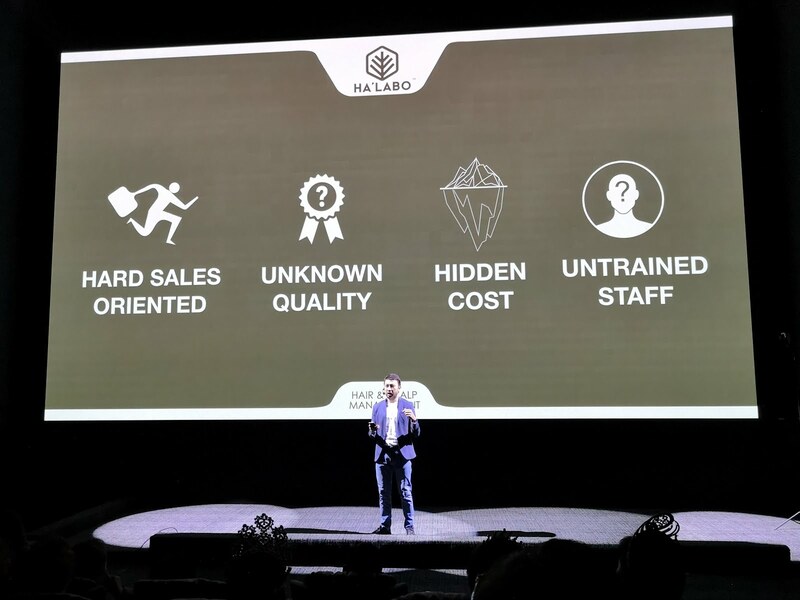 Find HALABO in Play Store and App Store. 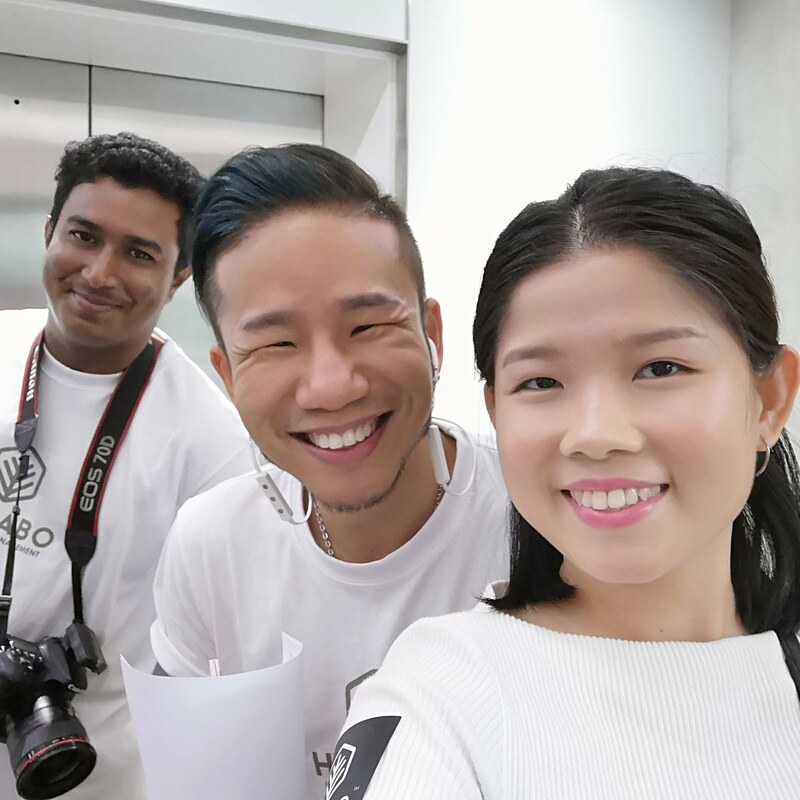 During launching, local celebrities are invited for their personal sharing; William, Coby, Pei Xuan and Pauline. The behind scene working hard team. 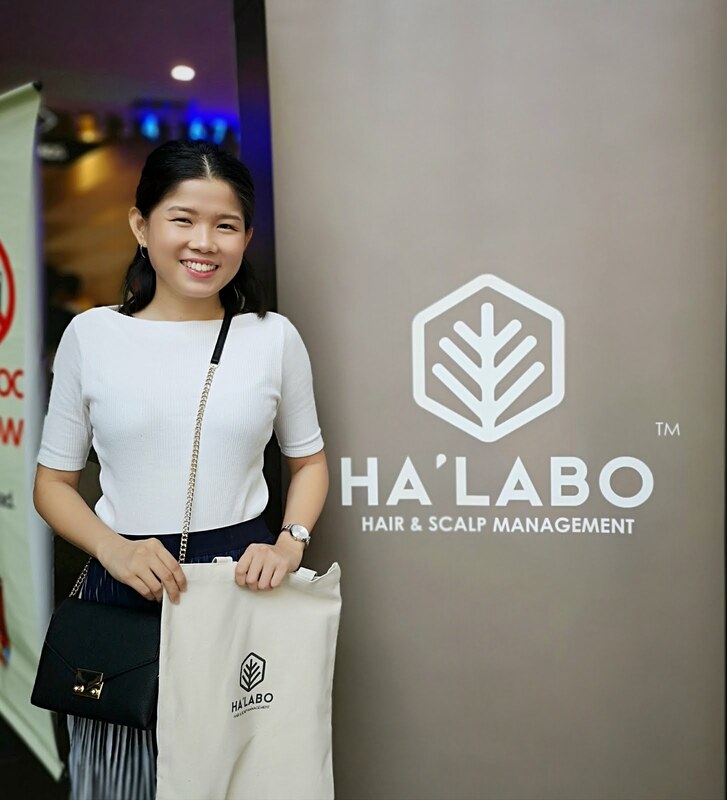 I have try HALABO hair and scalp treatment services before and I'm very satisfied customers. Check out my review now. If you don't know yet, HALABO use biotechnology technology for your ultimate hair solution at premium quality yet affordable price range. 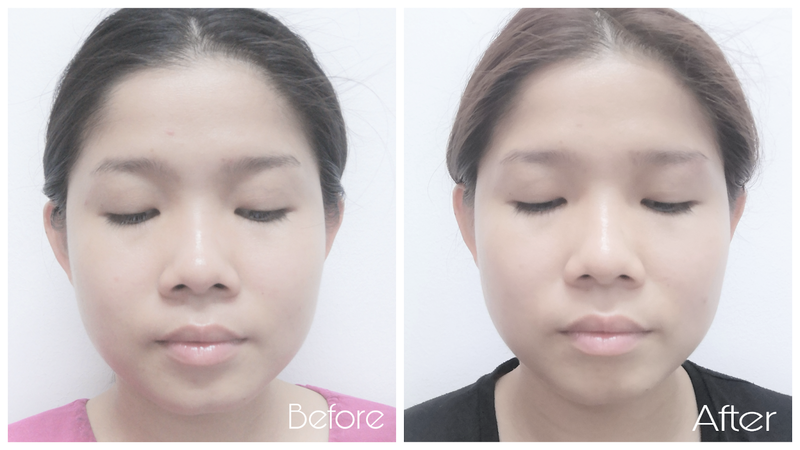 The price also no further than RM 198 per session if to compare with others well known brand. So don't worry to give a try first at RM 18 promotion price only. Alright check if you have a good hair day and see you next. I'm back and I believe you too. Chinese New Year celebrations is done and the weather is still hot. While you can't blame it, you better take care of yourself first. I mean don't forget to take care of your skin too. 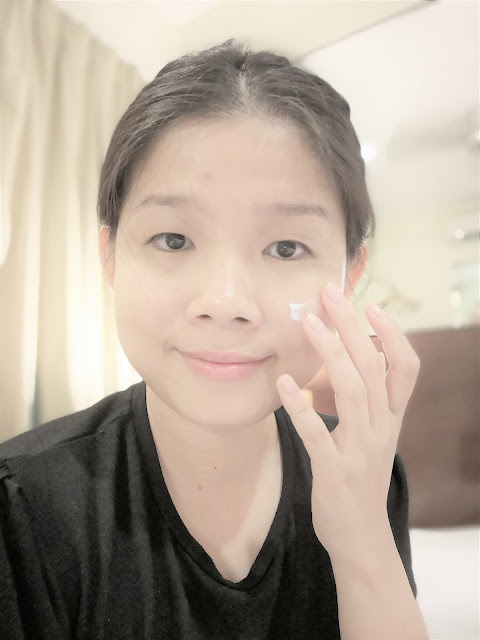 Check if your skin easily gets an oily gloss resulting in pore blockage then the pores become bigger due to keratinization thus resulting in facial problems like blackheads and acnes. For me, I'm still facing this kind of problems and I have to find a pore care solutions that will work. 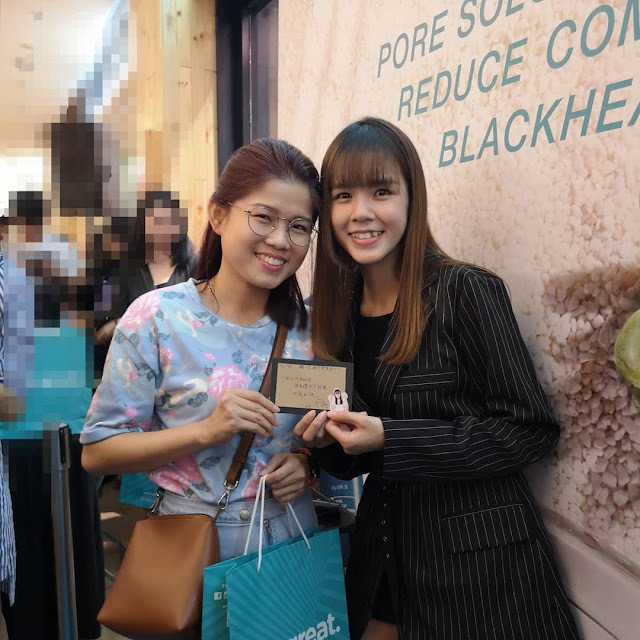 Firstly thanks to Watsons for introducing Neogence skin care from Taiwan. 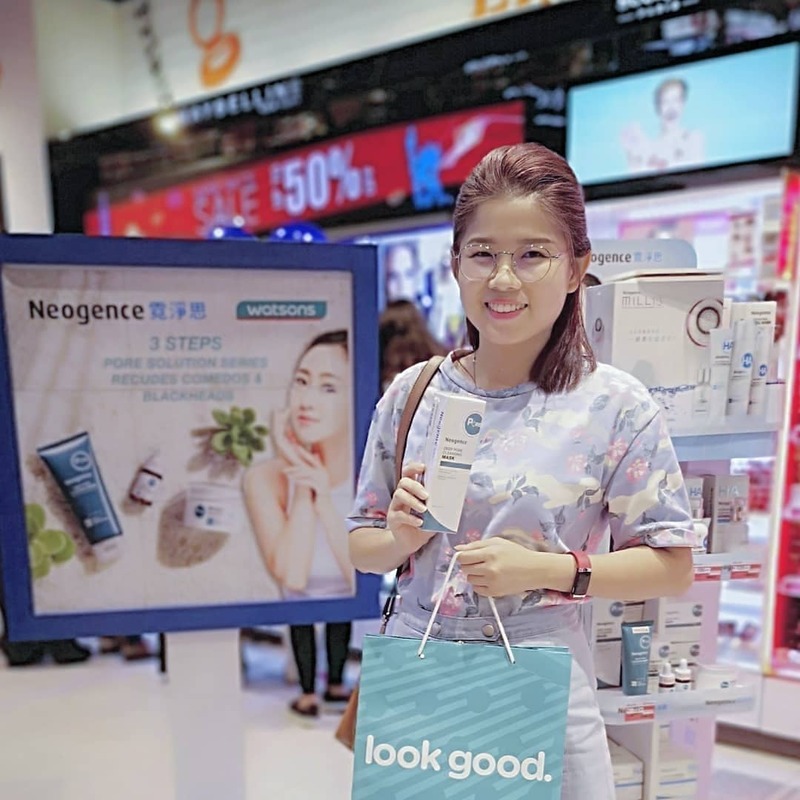 Neogence is a lab dermatological brand which composed of the R&D team of dermatologist, bio medical doctor and professional pharmacist that have been deeply researching and analyzing the skin pore and head problems. Just recently Neogence launched a new product of pore solution series with 3 steps of skin care only. The 3 steps are not the common steps that we used to know. Met Shu Sen, a young and talented YouTuber in Malaysia. 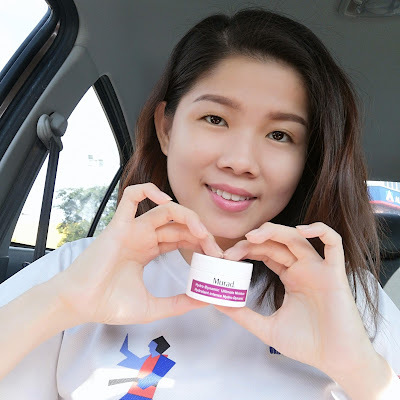 She shared about her experience using Neogence skin care product and benefits well on her skin. Not forgetting how humble and sweet of her that she even created a card for her fans. Don't be surprise is me using the Neogence Deep Pore Cleansing Mask on my face. This is the first step in the series after my face is cleaned. Combining natural clay and charcoal powder that absorbs sebum, removes dead skin cells cleanses pores deeply and weakens the solid roots of comedones. It's a very fast acting and my pores feel refreshed again. Don't believe try it out yourself. Use weekly only. The other 2 steps are to use daily. The second step is the Neogence Extremely Off Heads Serum which effectively dissolve heads and blocked pores completely. While the last step is the Neogence Skin Refining Cream which help skin cell renewal and repair of acne scars. Note you still can use toner to prep your skin for serum absorption. Overall I'm satisfied with the product content quality, packaging and also the result I'm experiencing so far. I know when I started to reduce the habit to squeeze my pores out. Girls only understand that. Alright then if you want to get it you knew it, Watsons. Check out their online and offline store now for promotion price (retail price range from RM 100+ for each). I always admiring those with V shape face and to have a V shape face is kinda every ladies dream. I dunno how much you really want to look V shape face on you but some may go until extreme to do plastic surgery. That's guarantee a V shape face on you! But how about applying facial cream to achieve V shape face? Introducing ID.AZ Face Fit CU-V Tensioning SLEEPING PACK made in Korea. 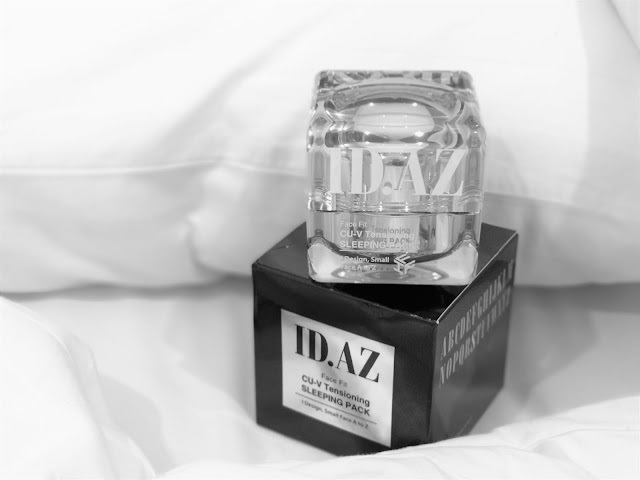 ID.AZ face fit is a functional cosmetics product line that aids in finding your beauty contours with proprietary ingredients and patented formulations. 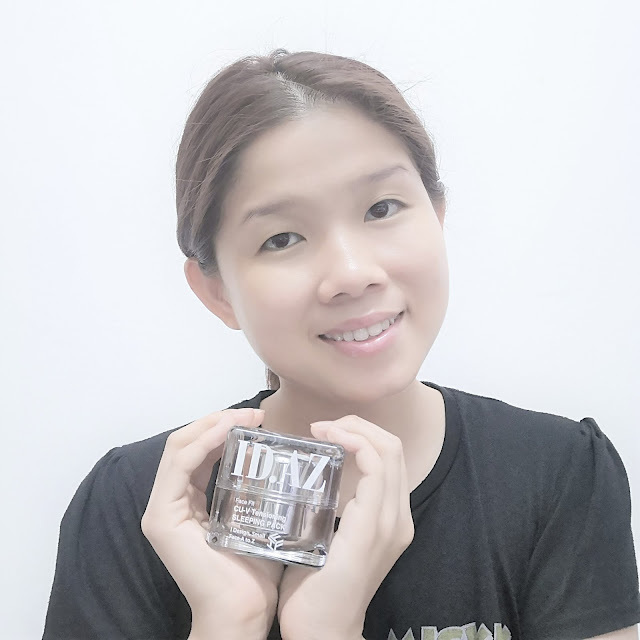 It helps in face slimming, giving volume and lifting through its product line up. It's very interesting at first place once opened up from the box. The glass jar look contains 30 ml of content only. It's in white concentrated creamy type with almost no scent at all. 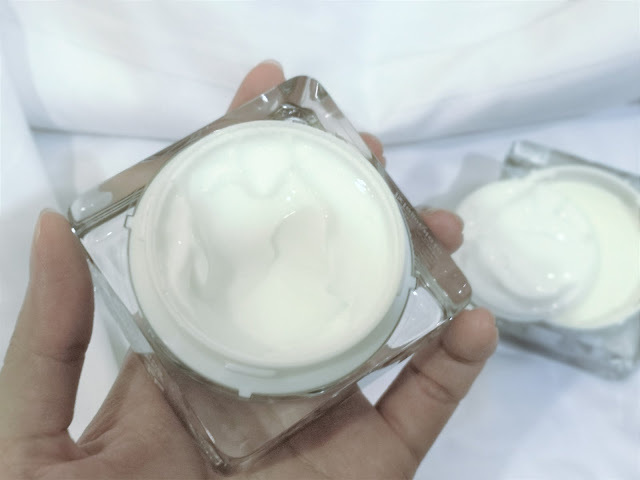 Every night before sleep, take generous amount to apply on your skin and that's it. It works while you're sleeping so remember not to sleep too late. A reminder for myself too. - promotes slimming with firming functions. - helps with smoothing of wrinkles by enhancing elastin formation and helps maintain it. - contains sodium deoxycholate helps with smoothing and tightening the facial and breaking the fat in skin. I really can feel my skin have immediate tightening effects and doesn't has the warm effects as I thought it will. Others than that, I'll make sure to apply it every night to see the results for about 2 weeks. Although from the pictures you may not see huge difference since it's only about 2 weeks application but I can feel my cheek side have gain a little smaller 'pao' size. Now come to the most important questions. For seriously I do not see any much obvious V shape line in 2 weeks time. Unless for those after facial surgery, this products definitely can help them to maintain the V shape look. Other vise, I can feel my skin is firm up . Ladies if you're already in late 20 you should consider to start using anti aging products that can help your skin to lift and firm up. This product will be launching on February on wards at watsons store. Price at RM 199. Check out the online store link here for promotion price. Alright see you next round ladies. 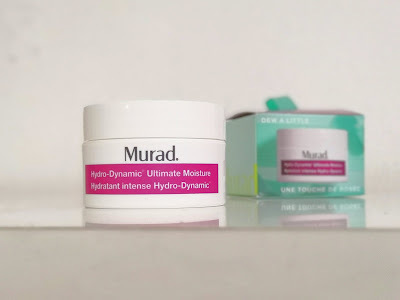 Since ever I knew about Murad brand, I definitely give a trust in their good skin care range of products. 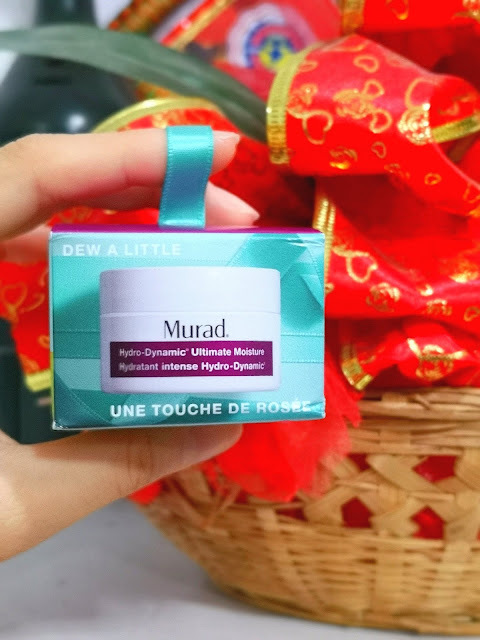 Coming this holiday season, Murad sent me a product that just in time to use especially during travelling. The Dew a Little Murad Hydro Dynamic Ultimate Moisturiser is suitable to pack for travel use because of it small size. From the name itself I know that this is gonna be a good moisturiser to keep my skin hydrated all the time. Not only that it can help to solve your skin problem of dull, dry, fine lines and even the sensitive type. When you have enough hydration locked into your skin, you'll see improvement in your skin. 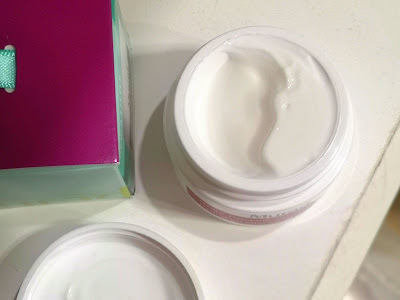 Products is in luxurious white cream texture yet I feel lightweight during application on the skin. It can provides up to 24 hours of hydration which is perfect especially travelling that required to stay outdoor longer than indoor. It's also smell almost no scented. Use it every day and night and massage evenly over face, neck and chest. 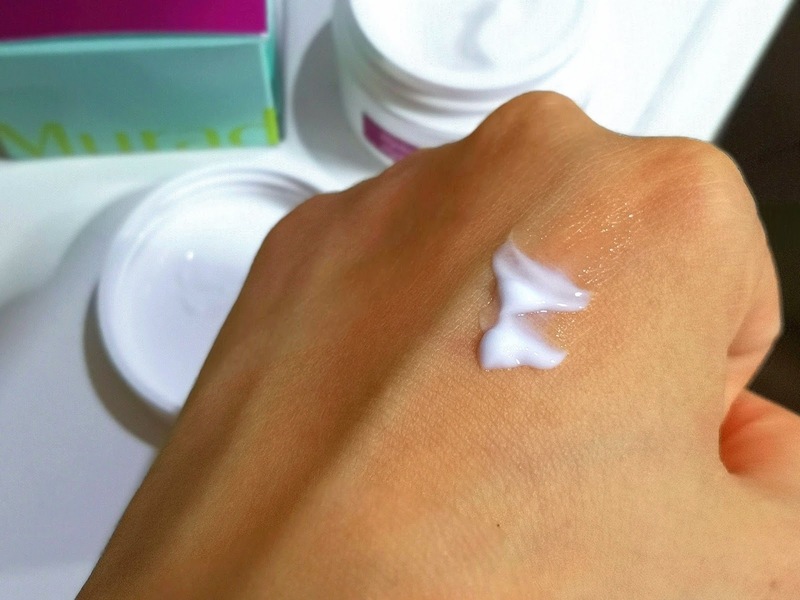 I feel almost no stickiness on my skin while products absorb well into the skin. Overall I'll consider this is my best moisturizer used in my list. Check out Murad website for more info. Until then Happy New Year 2019!